In our pack you’ll find one of each style of washable nappy – all in ones, all in twos, flat, folded, shaped (we’ll explain the jargon too!) 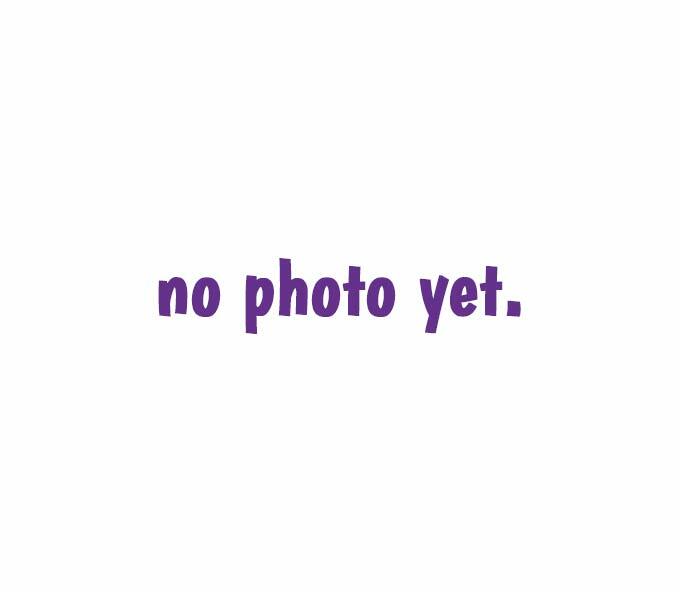 - to help you find out what you like, wouldn’t use and what it’s really like to use them without myths or half-truths getting in the way. And we’ll be there to help you along the way, answering your questions and building your confidence. Nappies not in our pack can still work for you, just because we’ve not included it just means we’d already chosen one of the same type or we’ve chosen one that available through more retailers. Here's a quick summary of what you'll find in the pack, keep scrolling down for more information about each item. 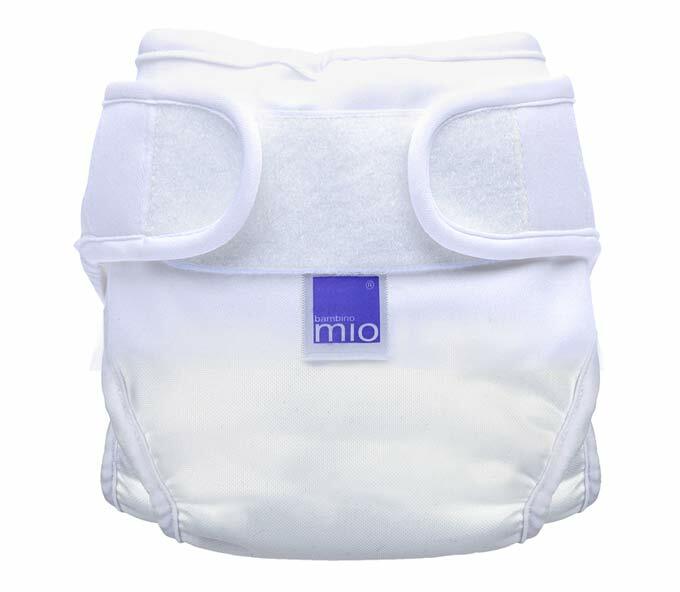 This all in one nappy is this slimmest one we can find and is very absorbent. This all in one nappy is great for tall or chunky babies. The inner part of this nappy is attached by poppers, separate the two parts for quicker drying. This nappy comes with its own absorbent booster to stuff the pocket with. It has a unique leg design for an extra comfortable fit. 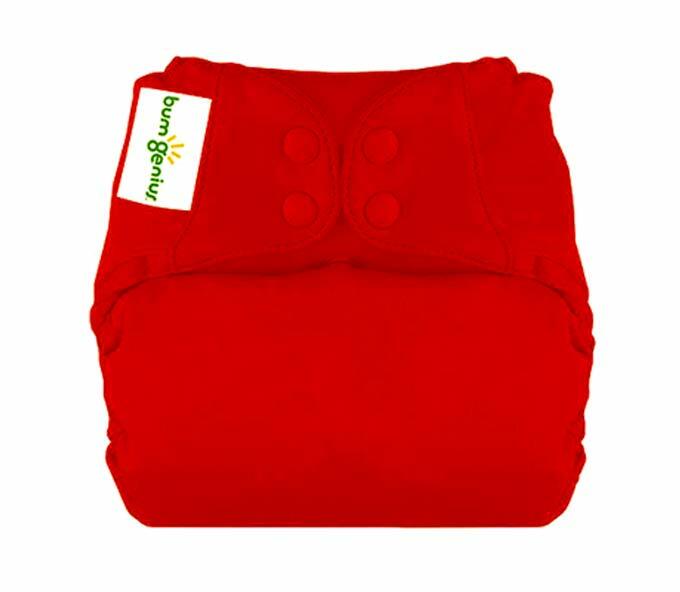 Made from super absorbent bamboo this shaped nappy plus waterproof wrap is a two part nappy that with extra boosters is great for dry nights. 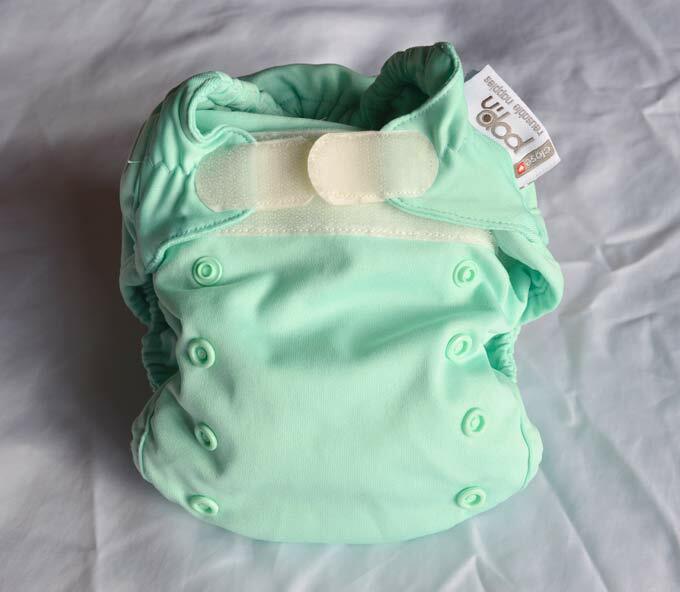 This bamboo nappy is also a sized nappy but the size adjusts using poppers on the front to change the length. This wrap adjusts as your baby grows from birth until potty training and will fit over most sized nappies. This sized wrap can fit over most of the sized nappies and has the added bonus that it can be used over the prefold nappy or you can create your own using lots of boosters. Commonly known as the poo explosion preventing wrap this is great for night time use over a bamboo nappy. The stereotype of a washable nappy, lots of ways to use this one. Seize the day now, get everything ready to use in the morning! The nappies come to you ready for use. We’ve pre-washed all the nappies at least 6 times to get them to maximum absorbency and if you’re not the first person to use this pack we’ve also washed it before you borrowed it. If you want to wash it before use, please do, making sure you follow our washing instructions – washable nappies come with guarantees so if a fault develops they can be returned but only if the washing guidelines have been followed. 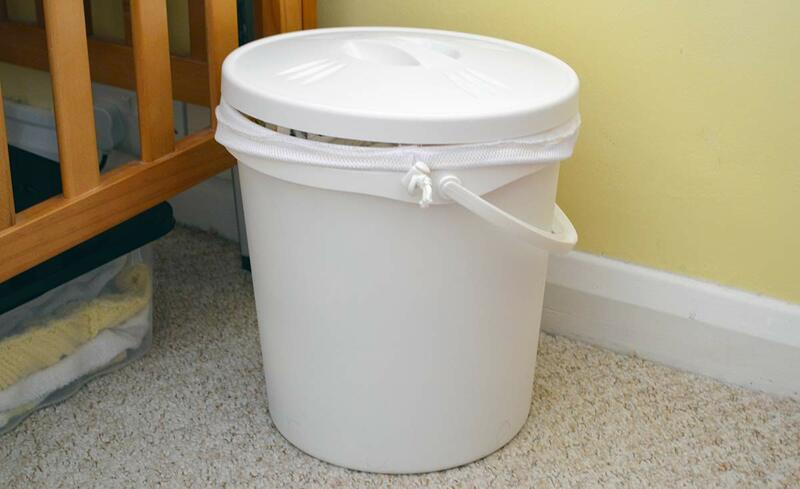 Set up the bucket – line the bucket with the mesh washing bag and put it near where you usually change nappies. If you have another changing area you could use the zipped wet bag from the pack or another container there too. We’ve added boosters and liners to each nappy. If you know your baby’s disposable nappies are usually very heavy then you may need to add extra boosters. How many boosters to add to a nappy is something you’ll work out after a few uses of each nappy – one of the many great things about washable nappies is that they’re really flexible. So you’re now sat with 9 nappies, which one to use first? Here are a few ideas. Great for Child Care - Either of the all in one nappies (bumGenius Elemental, MioSolo or Close Pop-In) would work well at a nursery or with a childminder because they are the most similar to disposables and with lots of children to look after they might not want to use anything else. However, if they’ve used washable nappies before they might be open to trying any of the others too – ask them and see what they say! Night Nappies - Try the Little Lamb bamboo nappy or Tots Bots Bamboozle with the Little Lamb trifold booster plus another booster with either the Little Lamb wrap or Motherease Airflow wrap. This combination should get you through the night with no problems. Alternatively, just pick the one that works best with the outfit you’ve chosen or has the best pattern and continue from there! Useful things like making sure the fit is right, washing and drying, poo, dealing with stains, avoiding leaks, dressing the cloth bum and how to use washable nappies out and about and at nighttime. You need to make sure that the washable nappies are fitted correctly otherwise they’ll leak. This great short film from YouTube shows you how to get the best fit. If you do get leaks we have a section of information to help. The back of the washable nappy only goes as high as the top of the bottom cheeks, then do it up and if the top of the nappy at the front sits just under the tummy button then it’s the right height. Make sure that there’s no fabric peeking out from the waterproof cover of the nappy. Do up the velcro or poppers so you can get 2 fingers down the front of the nappy. Make sure the nappy is in the creases of the leg otherwise the nappy will be really bulky and may leak. On first wear with the birth to potty nappies adjust the poppers going vertically down the nappy when it's being worn to get a snug fit. Once the nappy has been used just put it in the nappy bucket with the mesh bag in it. If the nappy fastens with Velcro fold the Velcro back on to the non-sticky part so the tabs don't attach to everything else in the wash. If the nappy has poo in it there’s no need to soak it first. As long as your baby hasn’t started solid foods just put the whole nappy including the poo in to the bucket. If you’re already on solid food remove the more solid bits of poo before putting it in the bucket – check out our poo section for ways to do this that you may be comfortable with. Once the bucket is full or after 2 days take the mesh bag or wet bag and put it all (bag included) in the washing machine. Wash at either 40 or 60 degrees, we suggest using a prewash and washing at 60 if there are lots of poo nappies in the load. You can wash nappies with other items, the 60 degree wash and detergent will get the nappies and your clothes clean. Try to wash dirty nappies every 2 or 3 days. If you leave it longer than that they’ll be rather smelly. DO NOT use fabric softener - this can reduce the absorbency. If you’ve been doing a bit of research about washable nappies you may have read about using nappy sanitisers in the wash. We haven’t included one in the pack as it isn’t essential when washing the nappies. Line dry, put over an airer or tumble dry on cool (hot drying can cause shrinking or other damage). NEVER put a washable nappy on to a direct heat source like a radiator. Bamboo nappies and boosters will take longer to dry as they’re very absorbent. For bamboo nappies think of the drying time as similar to a pair of jeans. Let’s be honest, this is probably the reason why a lot more babies aren’t looking stylish in fabric nappies. The thought of handing poo and putting poo nappies in the washing machine can be quite off-putting. You’ve probably spent a lot of time googling poo since your little one arrived, well here’s more about it. If your baby is still only drinking milk (breast or formula) the poo is water soluble and will just disappear when the nappy is washed. Weaning poo is more solid and you need to remove the more solid bits as they won’t just dissolve in the washing machine. You can do this in several ways – hold it under the toilet flush so that washes some of it away, wipe it off with toilet roll which can just be flushed or have a dedicate ‘poo spoon or spatula’ to scrape it off. Once your baby eats more solid food than milk the poo is much firmer and will just slide off the liner when it’s held upright over the toilet. The pack also includes disposable paper liners which when used as the top layer in the nappy should catch the poo. These work best on more solid poo. Sometimes poo stains are hard to remove. If they don't come out in the wash then don't panic. Just wet the stain again and place the nappy in direct sunlight - on a washing line or windowsill for example. The sun fades the stain and it doesn't even need to be very sunny to work. This works well for clothing too. We hope these are few and far between but as you’ll know from your current use of disposables, it does happen, no matter how carefully you put it on. Is it on properly? If it's too loose around the middle or legs then things will get out. This short film on YouTube is a great introduction but there are others online too. Check how wet it is. If all layers are soaked through then it’s just reached its absorbency limit. Try adding more boosters or checking how long the nappy has been on and if possible changing a little sooner. Can you see any fabric peeking out from the waterproof layer, perhaps around the legs or at the back. If so, that's probably why it's a bit wet outside the nappy. If it’s not soaked through then is it leaking from just one place? Could that be because your child has been moving around and the nappy moved or perhaps they’ve been laying on their front instead of back? You can add more boosters or fold the boosters so there’s more absorbency where you need it. If it keeps happening, maybe the cut of the nappy isn't quite right for the shape of your little one at the moment. Sometimes you can get compression leaks caused by clothing being too tight and squeezing the nappy. If your little one is close to growing out of a clothing size then use the vest extenders we’ve provided in the pack on a bodysuit. This should give you a little more room and stop the problem. If you still have leaks then get in touch with us or try posting in the Facebook group to see if anyone has advice to share. There is no evidence out there to suggest your baby is more likely to get nappy rash whether you use cloth nappies or disposable ones. Nappy rash is simply caused by poo being in contact with the skin for a period of time and your baby may be more or less sensitive to it than other babies. Once you know your baby has pooed change them as soon as you can and if you can put a bit of nappy free time in to every day. The only difference when treating nappy rash when you use washable nappies is that if you use a traditional barrier cream like sudocream or bepanthen it will stop your washable nappies absorbing moisture. Instead a moisturising cream should be used e.g. coconut oil or Waitrose's Bottom Butter. Some washable nappies are bulkier than disposables, especially if you've added lots of boosters. This can cause a few fitting issues with trousers and bodysuits. If your little one is just on the cusp of growing out of a size and you want to get the most from the bodysuit then use the vest extenders included in the pack. With trousers you'll need to try with what you've got and see what fits. Just like with adult clothes all brands fit slightly differently, but you've probably worked that out by now too! There are some brands out there that are made to accommodate cloth nappies so if you switch to washables in the long run you can plan your clothes shopping around those brands. 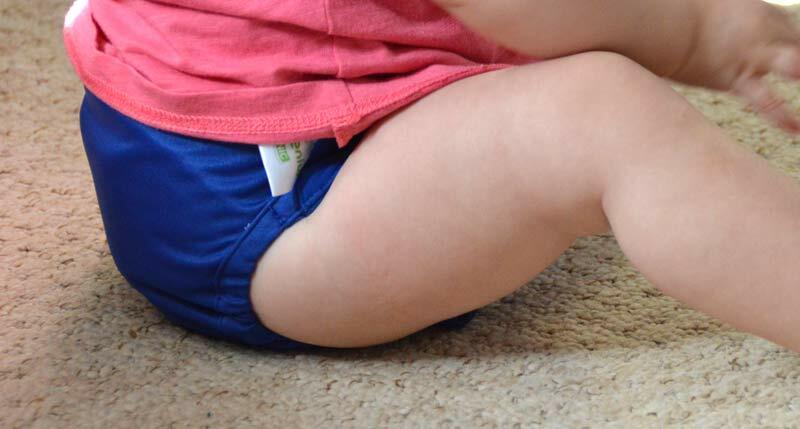 We can tell you some of the brands that are cut to accommate a washable nappy covered bottom. 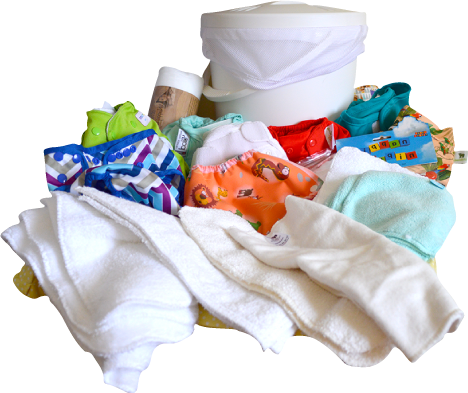 You don't have to use washable nappies all the time, many people choose to use disposables out and about and cloth at home. If you do want to give it a try away from the house here's what you need to do – put a nappy, (washable wipe if you're using them) and the wet bag in to your changing bag. When you've done the change just put the used nappy in to the wet bag. 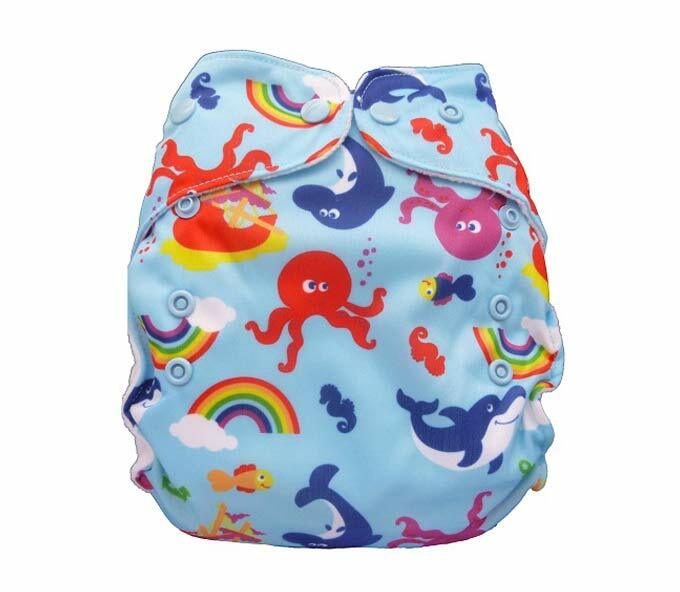 Wet bags are great and can be used for anything that gets wet with sick, wee or poo. There is no reason why using a washable nappy means your baby will wake up at night. If your little one has finally cracked a 10 hour sleep and you're really worried about them waking upthen you could continue using disposables at night and washables during the day. But if you know you'll have to get up anyway does it really make a difference? From the pack we recommend Little Lamb bamboo or Bamboozle with a wrap and boosters for night time. This is an all in one nappy, so there's very little you need to do before using it. The only thing is to fold the fabric inner (see pictures). Fold it at the front for a boy and at the back for a girl. Whilst you can add boosters you don't always need to. We ask that you always add either a fleece or disposable liner to catch the poo but that's all. 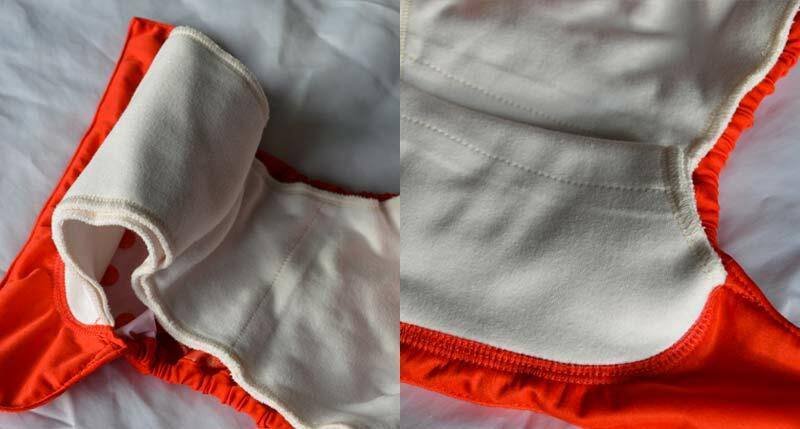 The inside of the nappy is organic cotton and it has the USA Oeko-Tex Standard 100 certification. The one in your kit is red (pepper colour). It's available in a variety of solid colours and a few patterns. Size - It's also a birth to potty nappy which means the poppers on the front adjust the overall size to fit from small at around 8lbs to 35lbs, or around the time potty training starts. Price - Around £20 per nappy. Use with - A fleece liner and if you want to with the bamboo, cotton or microfibre boosters. Top tip: when drying this nappy on a line or airer pull out the fabric so the bit with the fold isn't squashed together and turn part way through drying. This is an all in one nappy, so there's very little you need to do before using it. Whilst you can add boosters you don't always need to. We ask that you always add either a fleece or disposable liner to catch the poo but that's all. 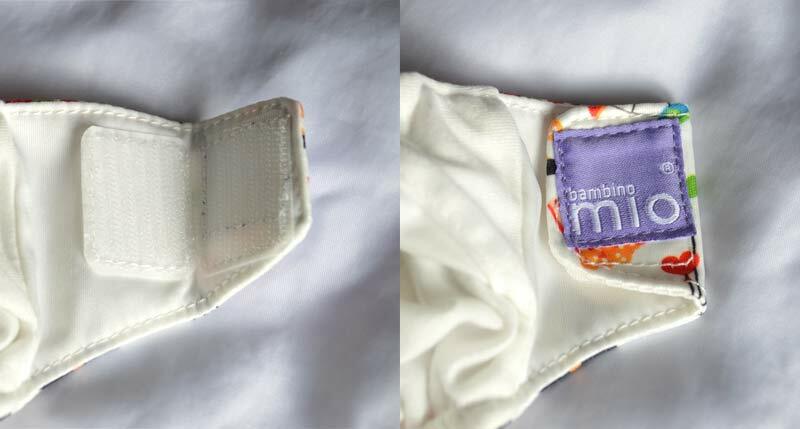 This one fastens with velcro and is the closest to a disposable nappy design of all of all them in the kit. Before washing fold the Velcro back against the other piece of Velcro to stop it sticking to everything else in the wash. Size - It's a birth to potty nappy which means the poppers on the front adjust the overall size to fit from small at around 8lbs to 35lbs. We think that this nappy works better for taller and bigger babies. Price - It’s available in a range of prints and you can expect to pay around £15 per nappy. Use with A fleece liner and if you want to with the bamboo, cotton or microfibre boosters. 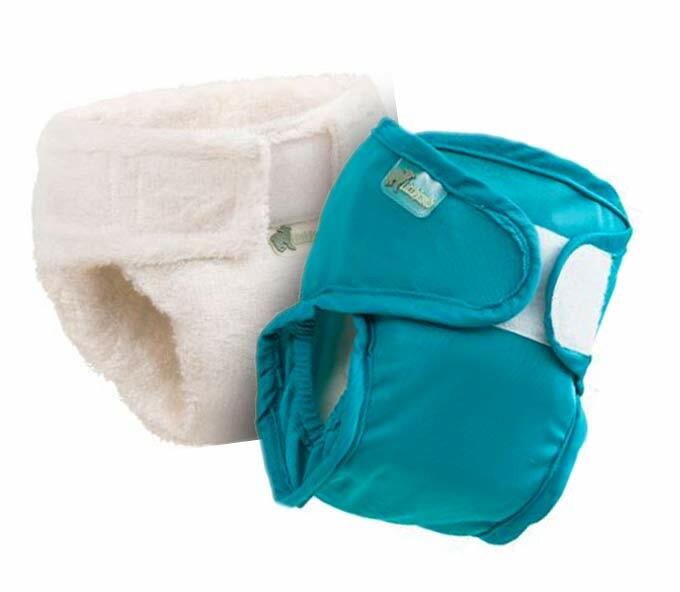 This is an ‘all in two’ nappy which means the absorbent inner can be removed from the outside waterproof part. This makes drying a bit quicker. To separate the parts just unfasten the internal poppers. This is also a birth to potty nappy so the poppers on the poppers on the front adjust the size. Close Pop Ins are available in minkee or bamboo fabric, the nappy in the pack is minkee which doesn’t take as long to dry. There are a range of pastel or bright colours are there are also a small range of patterns. Size - The smallest popper setting on the setting should be suitable from around 7lbs and it should fit until around 35lbs or potty training. Price - You can expect to pay around £16 for a single nappy, but Close nappies are available in packs of 5, 10 or 20 which reduces the cost per nappy. Use with - Fleece liners and if you want to with the bamboo, cotton or microfibre boosters. This is a waterproof wrap to be used over a fabric nappy. Just put this round the nappy, do it up and make sure it covers all the fabric. There is a double gusset at the legs to help keep the nappy content in the nappy. There are lots of ways to use a wrap. With a two part nappy system (wrap and fabric part) you do not need to change the wrap at every change unless it’s got poo on it or you want to. A benefit of the 2-part system is that it can cost you less as you buy fewer wraps than nappies. There are lots of different patterns available. Sizes - This is a birth to potty wrap so use the poppers on the front to adjust the length of the nappy and the ones round the top to make a snug fit around the waist. Price - You can find these for between £9 and £13 brand new. Sizes - Available in size 1 (6 – 18lbs), size 2 (9 – 35lbs) and size 3 (35lbs +). Price - From £11, depends on colour. The prefold may look like a large piece of cotton but it’s so much more. 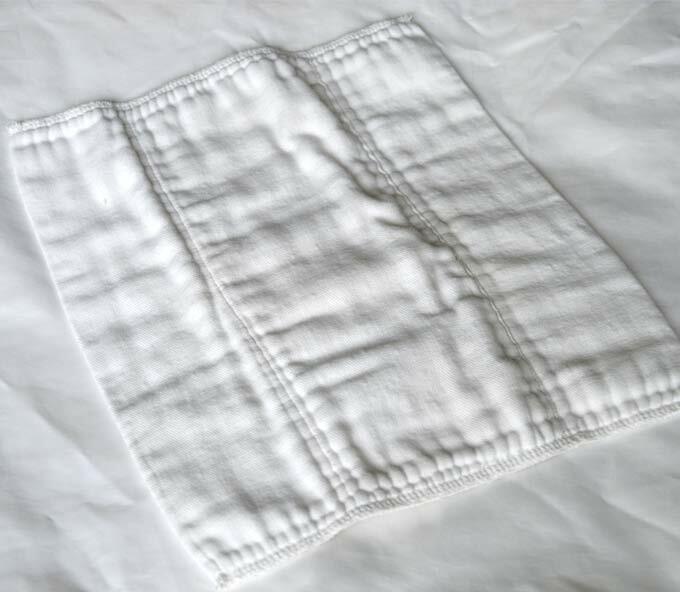 It’s made from lots of different layers of cotton sewn together to create a very absorbent nappy. There are two long seams along the prefold giving you 2 places to fold the fabric. There are different ways you can fold this to give more absorbency for a boy or a girl. This picture shows the instructions on the packaging of the prefolds. You don’t need to use a nappi nippa to fasten it together either. Prefolds are a great budget way of using washable nappies and you can choose from a whole range or different wraps with lots of different patterns to match your taste. Sizes - The prefold in the pack will work for any size, it all depends on how you fold it. It is possible to buy smaller ones too. Price - Depending on the material and size you can buy them starting around £2 each. They tend to be available in larger packs which reduces the price further. Use with - The Bambino Mio, Sweet Pea or Little Lamb wraps. You can also add boosters and liners. Once you’ve completed your fold use the nappi nippa to hold it all together. A nappi nippa is used instead of a safety pin and has no pins so there’s no risk or sticking a sharp pin in to your baby. Sizes - One size fits all. Price - Starts from around £2. Packs with larger numbers are available which brings the cost down even further. This is a sized wrap. 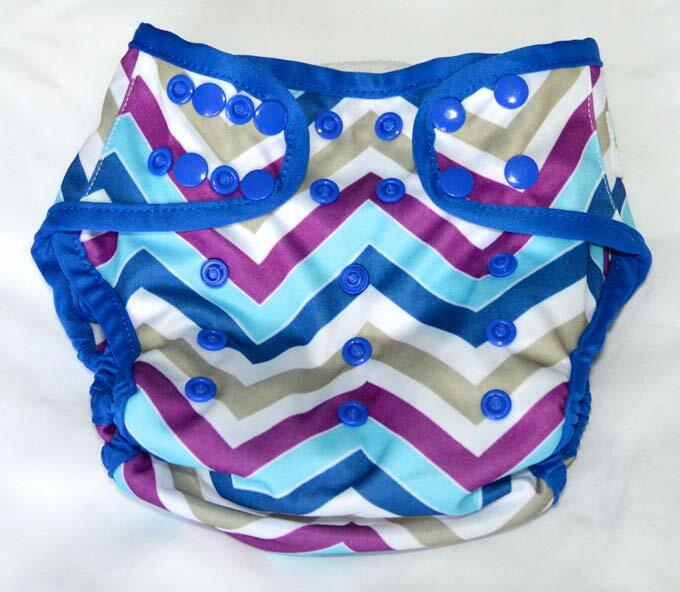 It will fit over folded or sized fabric nappies that don’t have a waterproof outer layer. At the front there’s a pocket to help stop any fabric (or anything else) escaping. With this wrap you could choose to layer up boosters inside the nappy to create a custom nappy and they’d be held in by the pocket at the front of the wrap. There are lots of ways to use a wrap. With a two part nappy system (wrap and fabric part) you do not need to change the wrap at every change unless it’s got poo on it or you want to. A benefit of the 2-part system is that it can cost you less as you buy fewer wraps than nappies. This is available in lots of different designs. This wrap is shaped differently to the others in the kit, it is a more baggy fit than the others. With popper fastening this is adjustable around the waist and the top of the legs which gives extra containment (it’s got a reputation for being poo-plosion proof!) and it’s great for babies that have chunky legs but a small waist. This is a pocket nappy, there’s a pocket between the inner layer and the waterproof part that you stuff with inserts. The Wonderoo comes with its own tri-fold booster which you insert in to the pocket. You can add further boosters to use it as a night nappy or if you have a heavy wetter. Just adjust the fit using the poppers on the front and around the middle. Sizes - It’s a birth to potty nappy, so from 8lb to 35lbs. 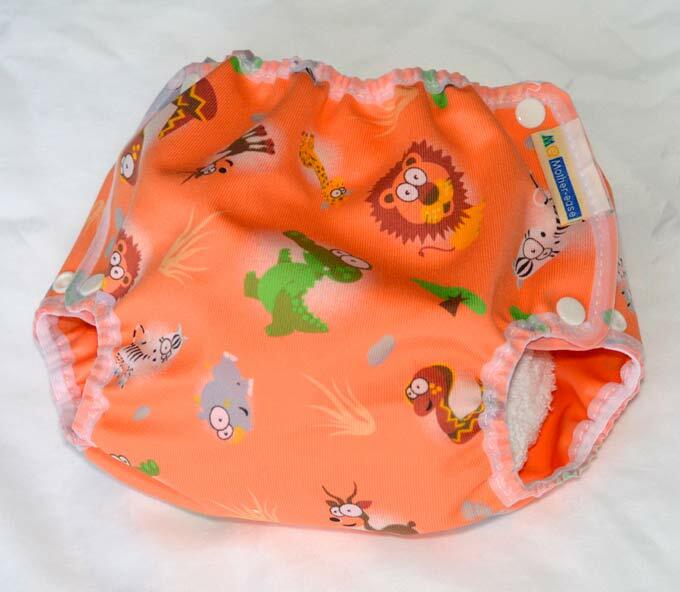 Made from bamboo yarn with a Oeko-tex certification this is a thirsty nappy. It’s soft and fastens with Velcro. Pair this with the Little Lamp wrap for a fully waterproof nappy. Add more boosters as liners as required. We think this is a great night time nappy. Use with - Little Lamb wrap, Motherease Airflow wrap, any of the boosters and a liner.